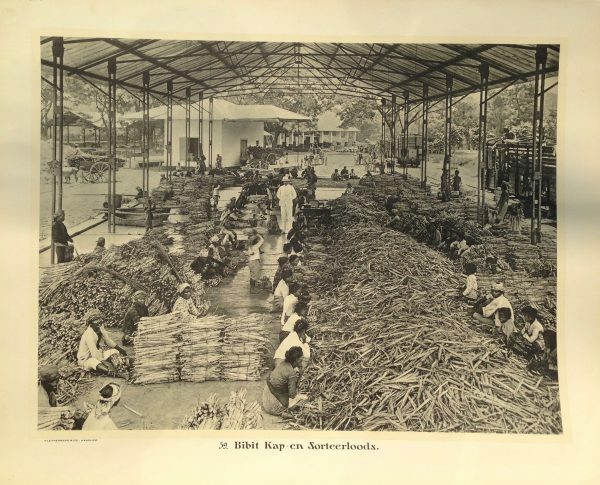 More than 1.33 million tons of sugarcane were produced in the Netherlands Indies in 1911, all of it in Java. In the plate (left), siblings are being sorted for planting, then placed in narrow trenches and kept moist until they have taken root. The larger the sorting shed. the larger the plantation sugar company.